We now have newer technologies and washing machine models year on year. The machines are getting more silent and efficient now. Consumers have choices to buy electronics from different world-class brands. They also have a number of options of places to buy them from, online as well as offline. Platforms like Amazon & Flipkart coming up with sales and cash back offers on regular basis. This plethora of options plus raining discounts has really worked well for Indian shoppers. Samsung is one of the leading names in electronics appliances in India. In washing machines category too they have a wide range of options. 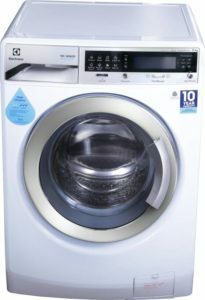 They have Washing Machines in the 6 to 10 kgs as well as 11 to 15 kg ranges. They offer equally good machines in front load, top load and semi-automatic categories. Below are the top recommended washing machines from Samsung in all three categories. AddWash – A door in door functionality that allows you to add clothes to your wash cycle midway. An undisputed leader in the electronics segment in India for a few years now. They are known for their good products and excellent customer support team. 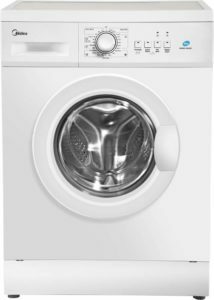 They also have few of the top selling washing machines in each of the segments. A few handpicked machines are showcased below. 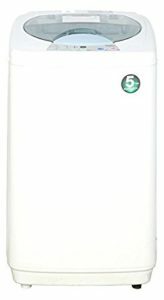 6 Motion Direct Drive – The motion of the drum is so designed, to give your clothes perfect hand like wash quality cleaning. This works perfectly well for all types of clothes, from a heavy load to delicate sarees. Smart Diagnosis – Facing issues with your machine? You can now find out what the problem is ease. This helps to troubleshoot the problem fast. Easily one the top three brands for washing machines in India. They have regularly come up with new technologies which enables doing laundry much more efficient & easy. They too offer machines in all three categories. Some of the innovations credited to their name include their 6th Sense DeepClean, 6th sense TumbleCare, 6th Sense UltraClean and other latest features such as Softener dispenser, 60-degree host wash, Spa drum etc. IFB has been capturing market share in India lately. This is mainly due to quality product launches as well as beautiful designs. Their machines have a premium look. This is also one of the important reasons for their growth in the last 5 years. They sell their products on their website as well as marketplaces like Amazon and Flipkart. At the time of writing this review, they offer cash on delivery and EMI options on their website too. This may not be the top selling brand in India. However, Bosch is known for their quality of products. Their washing machines may not be the cheapest available in the market but they sure are one of the best made one. If you are looking for some sturdy which will last you years. Just go for one of their washing machines and you will not regret your purchase. These are brands that are well known and popular in the budget washing machine category. This does not mean that do not manufacture and sell expensive models. Onida was once amongst the best-known brands in India. They were the leading Television selling company in India. However, lately, they have lost their charm a bit. Their premium washing machines are not doing that well. But their budget range washing machines are still doing very well online on marketplaces like Flipkart and Amazon. Onida’s top-selling product surprising is a washing machine with no dryer. Haier is a Chinese brand that entered the Indian market in the year 2003. Haier is globally one the leading appliance brand. Haier has its manufacturing factory in India at Pune. In Washing Machine, Haier is known for its NZP technology (Near Zero Pressure). This is one of the reasons that its Top loading washing machines are doing well in India. This technology will enable the washing machine to function well even if the tap at home has a really low water pressure. Watch the video below to understand this technology further. Haier’s HWM58-020 is one of the best top loading washing machines that they offer in India. Intex India brand was established in the year of 1996. They initially knew only for Computer, Laptops and Computer Accessories. They have now diversified into Mobiles and Home Appliances as well. Intex is well known for providing value for money with all their products. Their products are not very expensive compared to other brands in the same category but provide good quality and performance. 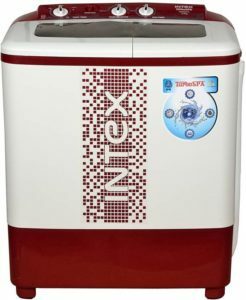 Intex is doing well in the semi-automatic washing machine product range. Their semi-automatic machines are some of the best selling products online. 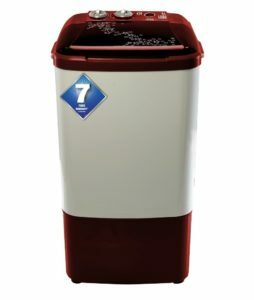 Below is Intex WMS62TL, a product with 6.2 Kg load capacity. 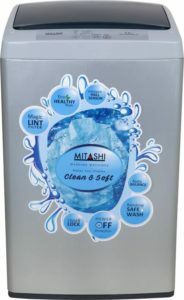 Mitashi was a brand formed and launched in India in the year 1998. In the initial days, the brand was focused on providing the Indian consumers with high-quality entertainment and educational products. They slowly diversified into other electronics products like LCD & LED Televisions, Tablets & Washing Machines. They are known for building modern-looking products at the most economical price point. Hence, It comes as no surprise that their Washing Machine MiFAWM58v20 priced around 10,000 Rs., looks so fabulous. MarQ is a private label brand founded and operated by Flipkart. This is a part of their “Make in India” initiative, where they have launched multiple brands to suit India consumers. Billion is one brand that Flipkart owns and also deals in the home and kitchen appliances like Mixer Grinders. The washing machine comes with premium feature like 3 wash cycles, pre-soak functionality & has less noise. BPL is easily amongst the oldest brands serving the Indian customers. This brand is operational in India since 1963. They first launched colour television in India in 1980. 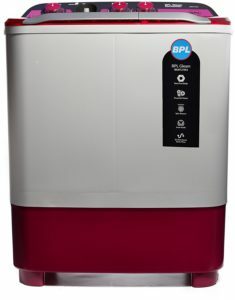 However, I must say BPL not a very popular choice when it comes to Washing Machines in India. Their Semi-Automatic machines still are very good. They have a very modern look and quality finish on their products. Godrej is a massive conglomerate consisting of multiple different businesses and brands. They sell everything from locks, mosquito repellents to properties. Godrej is also a brand known for its quality and business values. Coming to washing machines, their products although still not in the top 5 brands, are very reliable. You might not have heard of the brand Midea, but everyone surely knows the air conditioning brand Carrier. Midea India was set up in the year 2012 as a tie-up between Global brands Midea and Carrier. Sansui is a Japanese brand know for its quality and design. This brand is known the world over, however still catching up in the washing machine sector in India. As of now (At the time of writing this post), Sansui only has a couple of washing machine models that they sell online. Both the machines are top loading, semi-automatic washing machines. Electrolux is one of the global leaders in home and kitchen appliances. They are also one of the oldest brands worldwide, as they have been in business for over 90 years now. They have a presence in over 150 countries. They started off selling vacuum cleaners but not have products to suit every need in a household. Right now they do sell only a limited range of washing machines online in India but looking at their history, I am sure they will be making more products available to Indians soon. Videocon was a household name until the time the company overborrowed loans and ran into trouble. The company is now trying to recover from its problems and get back to its old glory. The company as a whole has continued to lose market share in India. However, they still continue to do well in Washing Machines and Refrigerator segment due to their old brand equity. Before you start thinking about the Hyundai Motor Company, let me stop you there itself. This brand has not much to do with Hyundai Car. It is actually a brand now owned by Videocon above. However, as per a report, the company pays Hyundai a royalty on the use of the brand name. The service & maintenance staff is the same as videocon. So, basically, only the brand name and looks of the machine differ. Everything else remains same as Videocon. When we think of Panasonic, the first thing that comes to mind is energy. The company is well known for their dry cell batteries. However, Panasonic is also into manufacturing and sales of Home & Kitchen appliances in India. They have some very innovative and good quality products doing well in sectors of mixer grinder & Washing Machines. I have now reached the last two names on my list. These brands have the most innovative and economical washing machines at the same time. I don’t think these products are suitable for a family, they are more targetted towards bachelors who need a quick and an inexpensive way to wash their clothes. At the time of compiling this list, most of the top-selling products from this brand were priced below Rs. 5000. Even though these machines were semi-automatic machines, they are value for money for sure. Hilton is a brand on similar lines as DMR above. 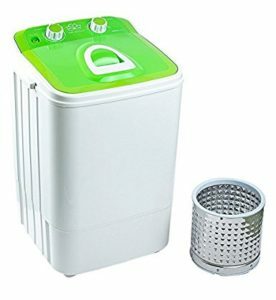 These are small washing machine for someone looking for a cheap solution to wash their clothes. The machines by Hilton (At the time of compiling this list) were even cheaper then DMR. 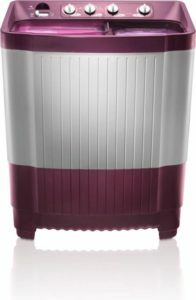 I hope this list of Best Washing Machine Brands in India and their top-selling models has helped you finalize your purchase. Do let your thoughts/feedback for us in the comments section below. However, if you are looking to evaluate washing machines individually and find out the Best Washing Machines in India – Go ahead and read our latest article for the same. One more major consideration before you buy a washing machine is whether you buy a front or a top loading washing machine. Each type of machine is made to suit specific requirements. Do read our detailed article on the same to figure out the right one for you. If you think top load washing machine is best for you. 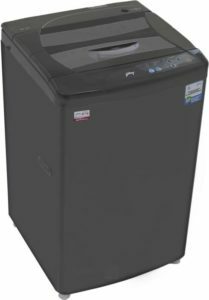 Have a look at our review on the best top load washing machines in India. Do leave us your feedback and comments below. The Atkitchen team will surely respond to the same. Thanks for sharing your thoughts about fridge compare.